It is that time of year when the fall harvest of crops has begun which includes pumpkins, squashes, almonds, beets, salads, broccoli, artichokes and many other crops. Pumpkins and different kinds of squashes are very beneficial for the digestive system. This is also the time of year that the body needs to be detoxed/ cleansed due to summer indulgence and then becoming more confined in the winter. In the coming weeks I will be giving you information more on Dynamic Detoxing. Today, however I would like to share with you my video on Daily Essential Digestion that will support your digestive system. Place essential oils and carrier oil in 1/2 amber bottle. Roll between your hands to combine ingredients. Massage on stomach area and corresponding reflex points on hands and feet. Make sure you make a label stating the name, ingredients and date that you made the formulation along with the contraindications. Contraindications: Do not use in pregnancy, nursing or with children under 6 years old. Phototoxic. 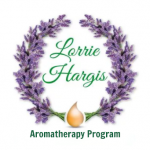 This entry was posted in A Practical Guide to Aromatherapy, Clove Essential Oil, Common Scents, Dynamic Detox, Essential Detox Booklet, Lemon Essential Oil, News Updates, Peppermint Essential Oil, Support Digestion on October 17, 2015 by Lorrie Hargis.